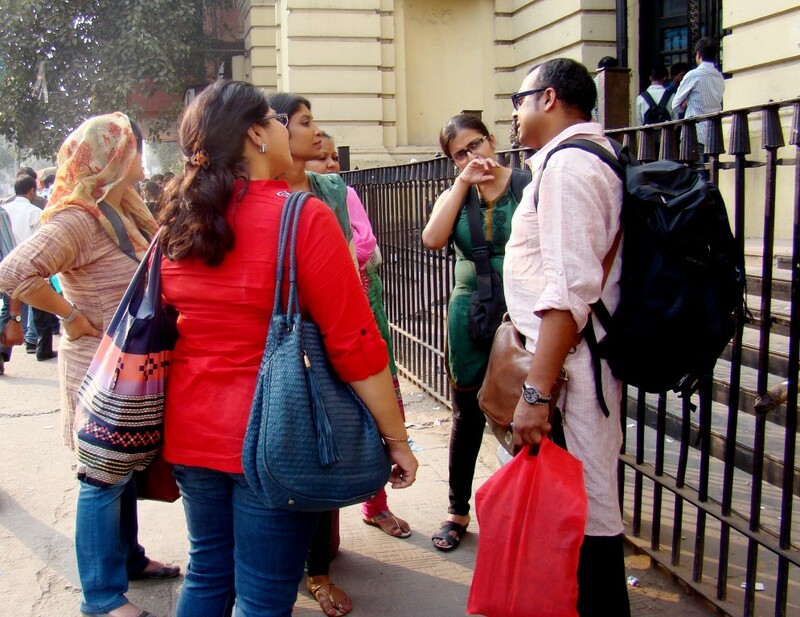 Guest Post and Text by Ayandrali Dutta, an active DelhiByFoot community member. 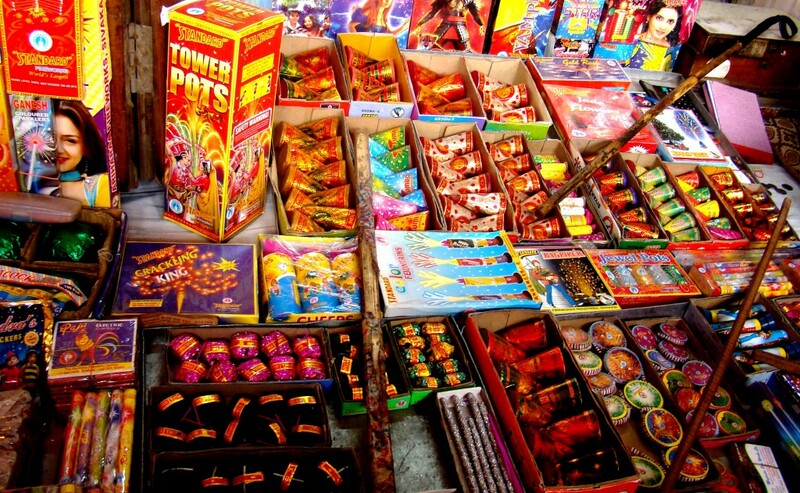 This post originally appeared in the Times of India online blog of TimesCity here. Tea Junkie, Die hard Romantic, Amateur Cook and perpetual Bhukkad, is how Ayandrali describes herself in her Travel Blog. A journo by profession, which brings the bread and butter to the table, she wishes that her gypsy feet will soon travel across every corner of the globe! The narrow lanes of old Delhi were super crowded as the bazaars buzzed in Diwali madness with everything from earthen diyas to figurines of gods and goddesses and candles to household decoration items to pick from. 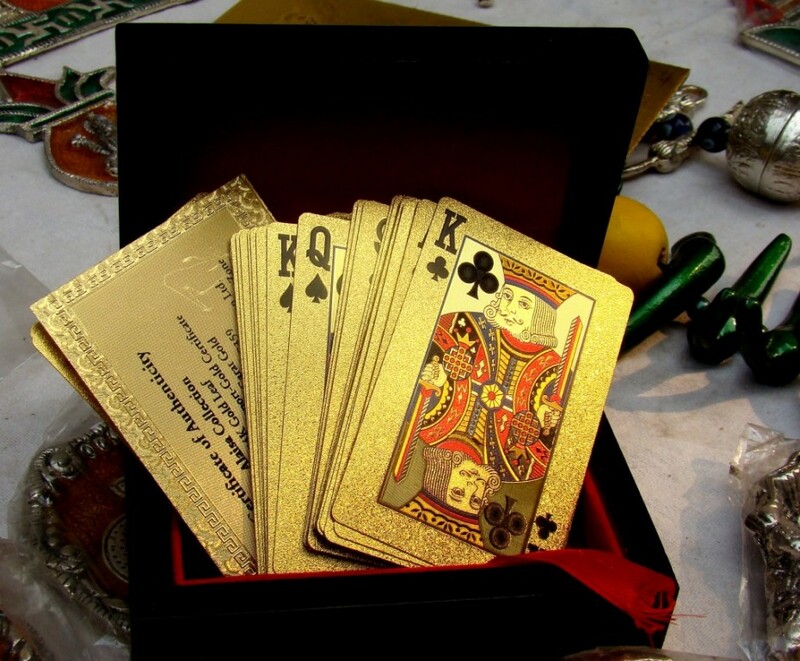 Diwali is all about lovely gifts and these gold plated playing cards priced at Rs 400 are sure to make heads turn. The pack claims that the cards are made of 24 carat gold dust and they come with an authenticity certificate too! 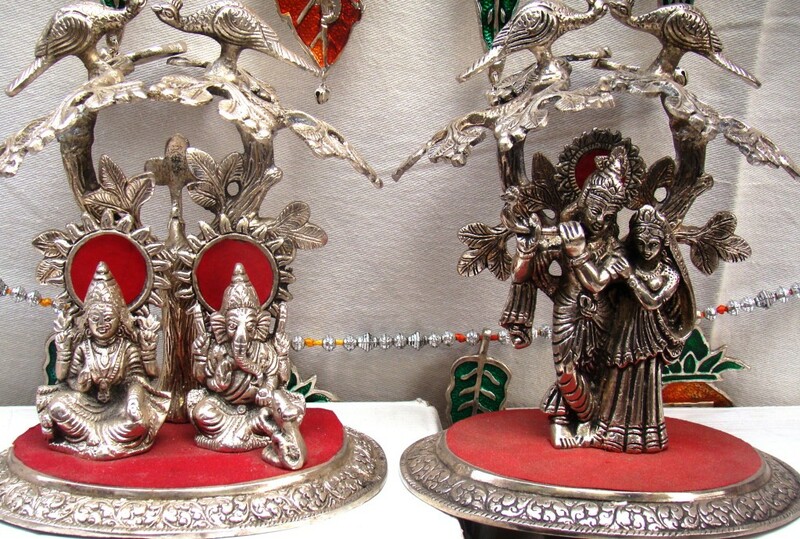 If you are looking for some silver artifacts then Dariba Kalan in Old Delhi is the place. 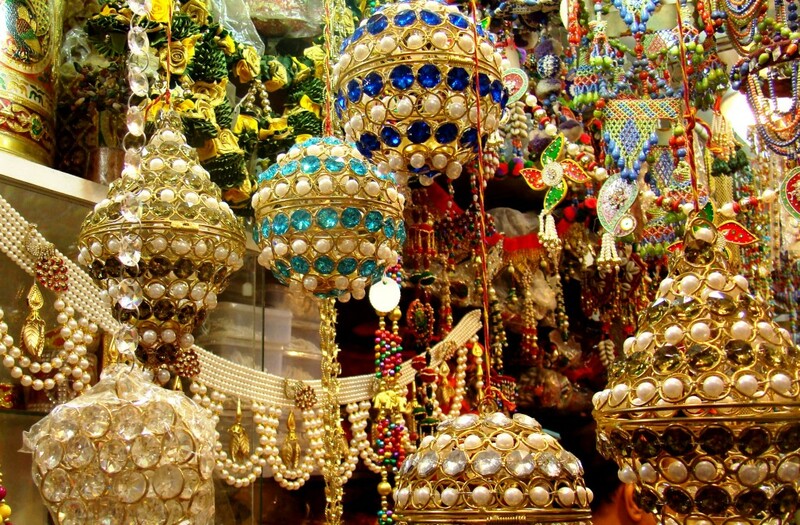 This ancient market, Delhi’s jewellery ‘adda’, is full of options. 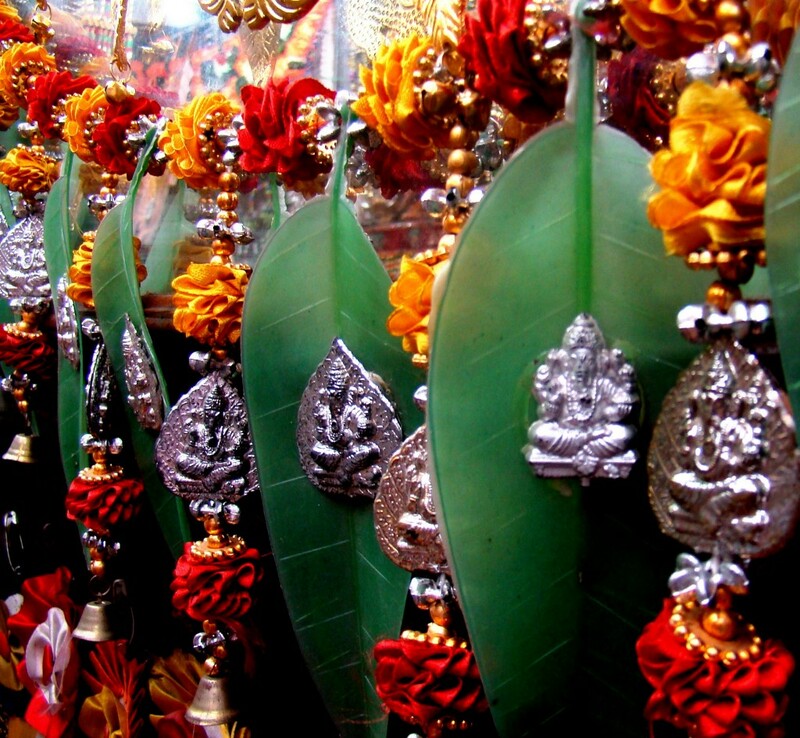 Dariba Kalan literally translates to ‘the street of the incomparable pearl’. 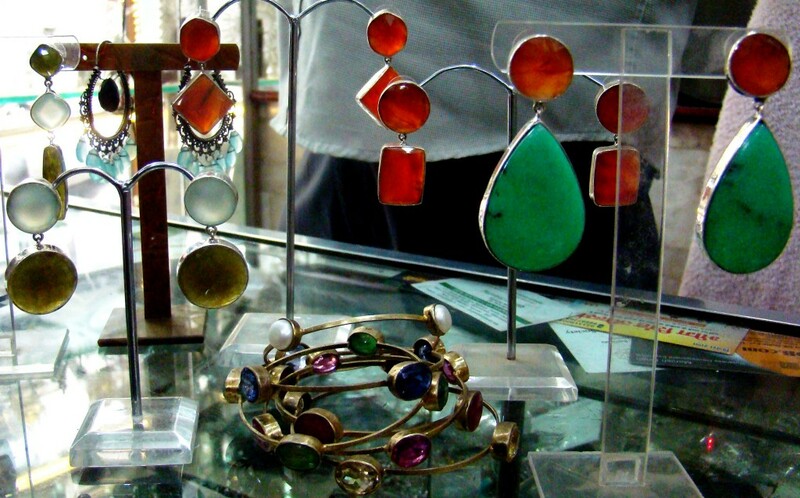 This place was the trade hub for pearls and rare gem stones. Once here you are going to be spoilt for choice. Economically priced, the shops here offer hefty discounts on jewellery during the festive period. 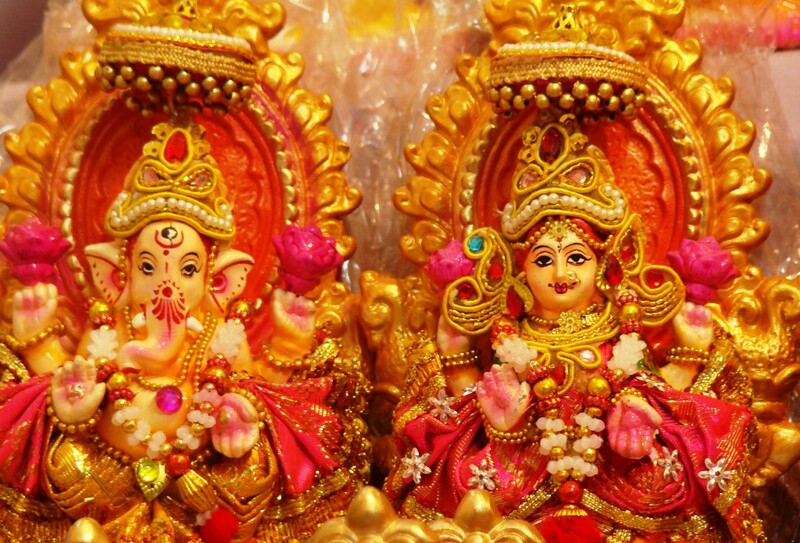 Craftsmen, few of them selling their wares all the way from Kolkata can be seen selling clay idols of Goddess Lakshmi and Lord Ganesh. Kinari Bazaar, Delhi’s wholesale hub for designer home-decor and wedding paraphernalia is also primed and prepped during the festive season. Shops are seen lined up with candles, lampshades, decorative items, designer gift boxes, paper craft and various other items of home décor and accessories. In this mid-17th century bazaar, one can pick up unique stuff like stonework, gold/silver jewellery, accessories, garlands, borders- embellishments and more. It’s an ideal place for shopaholics. A final shopping tip: Stay alert, follow the crowd and you will find what you seek in this land of festive cheer and discounted prices!